Willis Glenn Price age 83 of Valdosta, GA, formerly of Ashe died Thursday, December 20, 2018 at South Georgia Medical Center. Mr. Price was born August 26, 1935 in Ashe County to the late Willard Glenn and Hattie Mae Hart Price. 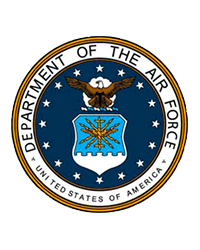 Mr. Price served in the United States Air Force for 20 years and was a lifelong member of the US Sergeants Association, the Retired Enlisted Association and was also a member of the alumni of the Air Force Technical Application Center. After his retirement from the Air Force, he sold real estate with The Herndon Company for 19 years. He was a member of Morningside Baptist Church. Along with his parents he was preceded in death by the mother of his children and wife of 39 years, Jean Roberts Price. Memorial services will be held at 11:00 AM, Tuesday, January 29, 2019 at Sturgills Baptist Church by Rev. Lloyd Day and Elder Lundy Finley. Burial will follow in the Cole Cemetery with military rites. The family will receive friends from 10:30 – 11:00 prior to the service. Survivors include: His wife, Christine Price, sons, David Glen Price and wife Lisa of Hahira, GA and Michael R. Price and wife Jana of Cookeville, TN; sister; Norma Jean Blevins of Whitetop, VA; brother Billy E. Price and wife Clarsie of Lansing, NC; nephew, Kenny Blevins; nieces, Debbie Huffman and Ginger Canovai. different paths along the way. far greater that we know.